In our first lesson, we're going to discuss what a resume is and why you need one. Then we'll go over the six sections of a resume: Heading, objective, education, work experience, special skills, and references, and you'll learn how job seekers utilize each one to market themselves to prospective employers. We'll finish up the lesson by discussing some other resources on the Internet where you can look over sample resume headings and objectives. Today, we'll outline the skills that you've developed in five areas of your life—work, education, internships, volunteering, and extracurricular activities. Then we'll edit those skills down to the ones that are most relevant to employment, and choose an important skill for each area. Next, we'll come up with personality traits, and narrow those down to the ones that are useful in a business setting. I'm going to ask you to list the three accomplishments that you're most proud of, and the skills that you used to make these goals come to fruition. In this lesson, we're going to cover the rules of resumes. For instance, a resume should be only one page, and it should be laser-printed or typeset by a professional printer, and it should be printed on bond paper. You're also going to learn what not to include on your resume, and why it's perfectly acceptable to use the word "I" on your resume if you so desire. We'll conclude the lesson with a discussion about Truth in Resume Writing. Through example, I'm going to demonstrate how to portray job duties in the best possible light without getting yourself into trouble. In Lesson 4, you'll learn about the most popular style of resume—the chronological resume. In this type of resume, you'll list work experience in reverse chronological order. Your current or last position is listed first in the work experience section of your resume. We'll discuss the advantages and disadvantages of this type of resume. You'll also learn how to minimize a gap in work history. Although many people will have a few small gaps in work history, too many gaps, and gaps that are too large will put prospective employers on alert. In this lesson, we're going to go over the other two resume formats—the functional resume and the hybrid—the combined resume. 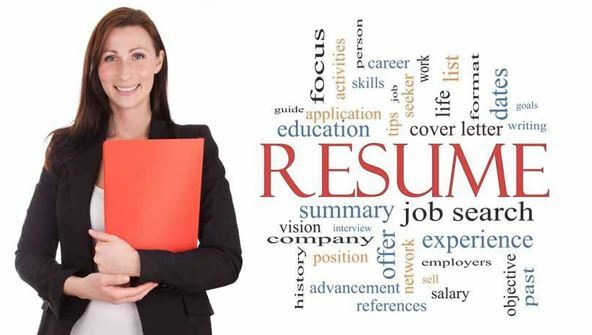 Although not as popular as the chronological resume, these resume formats do fulfill a need for some job seekers. Employees who are following a new direction in their career, or who don't have much experience for a particular position, may choose a functional format. You'll learn the differences between functional resumes and chronological ones, and as part of the lesson, we'll look at four people's chronological resumes and practice converting them into functional and combined resumes. In this lesson, we're going to concentrate on your resume. We'll discuss how to set up the heading of your resume and the options you have available to you when you're doing so. Then we'll look at some sample resume headings. You'll learn how to write a persuasive objective for your personal resume, and then we'll discuss career profiles and summaries of qualifications. We'll also go over examples of objectives, career profiles, and summaries. Finally, we'll look at the education section of your resume and discuss what's included in an honors section. In this lesson, we're going to discuss references. We'll begin by looking at examples of two reference letters written by two different individuals. Then, we'll discuss how to request a reference letter, and take a look at a sample dialogue of this. We'll discuss the different people you could request a letter from, and take a look at the difference between a regular reference and a sealed reference. Later, we'll look at a sample reference sheet that you can use as a model to construct your own. We'll finish up with some examples of how you can refer to your references on your resume. In today's lesson, you'll learn how to turn job descriptions into advertising copy. Your resume is an advertisement for a product, and you are the product, and your potential employer is the customer. You need to express the features (actual description of your product) and the benefits (how it will help or aid the customer) of the product. You must be as persuasive and specific as possible when describing your features and benefits. Finally, we'll discuss company job descriptions and why they're important to you. In today's lesson, you'll learn all about technical resumes (resumes for engineering, data processing, and other technical and management careers). We're going to discuss how these resumes differ from traditional resumes. You'll learn about buzzwords, and find out how to use them effectively on a technical resume. Then you'll learn some writing tips for technical resumes, and we'll go over a recommended technical resume format. We'll finish up the lesson by looking over some examples of technical resumes—one chronological and one functional. In Lesson 11, you're going to learn how to write an effective cover letter. I'll explain what a cover letter is, and when you'll need one. Then we'll go over the different parts of a cover letter, and look at several examples of them. Finally, we'll discuss the follow-up sentence that you might include in the closing of your cover letter and why it's important in your job search. Our final lesson is all about the new resume that you've been working on throughout this course. We're going to take one final critical look at it: Is your name centered at the top of the page? Is it highlighted by a larger font, bolding, or underlining? Is your objective highlighted, along with your education, college, and work experience? Were you consistent with font sizes, capitalization, spacing, and punctuation? Is everything lined up vertically? The left-hand side of your resume should be lined up vertically, but the right-hand side should be ragged. Is your resume perfect with no typos or spelling errors? By the time you finish today's lesson, your resume will be ready to present to prospective employers.